Lord Ganesha is extremely important Hindu god, as all tantric and spiritual worship in the Hindu religion begins with the invocation of Ganesha. This elephant-headed lord offers you the power to take right and fruitful decisions. He is the remover of all obstacles and paved the way for new beginnings. For possessing such amazing features and a divine persona, he is no more restricted to temples. 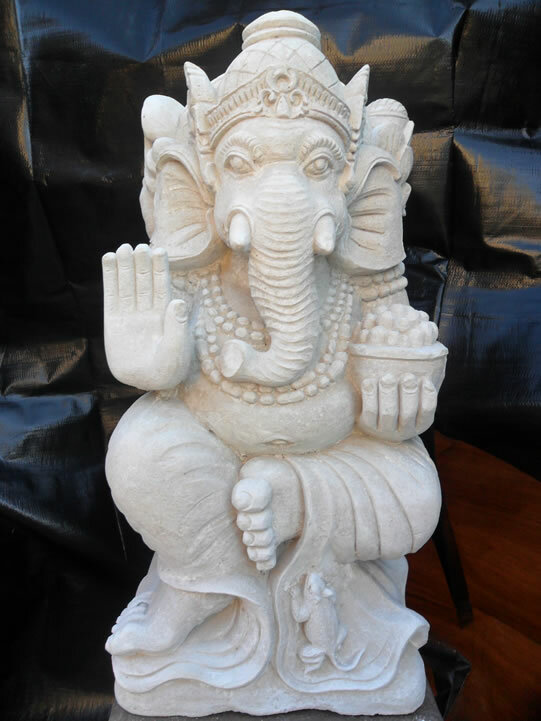 Today, one can bring the Ganesh Statues to make the surrounding delightful and holy. According to Hindu mythology, every “shubh” or good work starts with the worship of Ganesha. He is the god of wisdom and intellect. The aura that it spreads to your home is somewhat you can never truly comprehend until you put it in your house. It is normal to embellish Hindu homes with the idols of Hindu Gods and Goddess. Literally, it is hard to find homes that don’t have one. Usually, people place such idols above their front doors to fill their home with positive energy and good luck. The statue of Lord Ganesha is the best example of home decors and you can place it in all important parts of the house. The chapel, living rooms, bedrooms and even kitchen shelves are the perfect places to make piety around you. You can explore such statue made with distinct materials like metal, crystal, wood, clay and also gold and silver. Musical Ganesha idols are the other trendy home decors and they can make a sacred surrounding through chanting several hymns. Diwali and Ganesh Chaturthi are significant occasions when people exchange Ganesh idols as gifts. But, one can use them, as gifts for other events too. The embroided and stone studded idols are high in demand for gifting purposes. Thus, you can consider presenting your kith and kin with beautiful idols based on the theme of Lord Ganesha.